Celebrating the life of John A. Munson, Jr.
Obituary for John A. Munson, Jr.
John August Munson, Jr., son of John August Munson and Ima Clair (Nolan) Munson was born August 24, 1920 in Boone County Iowa. John passed from this earthly life into eternal life October 29 at the age of 98. A Funeral Service will be held on Friday, November 2, 2018 at 11 a.m. at the First Presbyterian Church in Boone. Visitation will be held at the church from 9 a.m. until the time of the service. Burial will be in Linwood Park Cemetery. John was born and raised in Boone County, living close to 80 years on the family farm. He graduated from Boone High School in 1938; attended Boone Junior College (DMACC) and attended Iowa State University where he majored in Animal Science. John served in World War II (1942-1946) as a Navy pilot flying R5D Naval Transport planes which were based on Guam; evacuating the wounded and transporting supplies. He later received an Honorable Discharge. On August 24th, 1946, John was united in marriage to Charlene Mae Smith of Ames. Over John’s lifetime he was a vocational education instructor in Boone; was in retail grocery and meats; a Boone County Supervisor for 12 years and County Sanitarian until retirement. John also operated a dairy herd in the 50’s; was a crop farmer and raised horses and sheep. John had a passion for equine his entire life. At an early age, he showed the family’s Belgian farm horses in events at the Iowa State Fair. As a young man, he was one of three that showed in the very first ISU Block and Bridle horse show in Men’s Western Pleasure. While attending ISU, he was a member of the Cossack Drill team and his abilities afforded him the top position of the pyramid. As a member of the Boone Saddle Club, John and his family hosted trail rides and horse shows at the family farm. As his children grew up, the family traveled center Iowa showing horses. His passion for equine continues to be seen today in his youngest daughter, grandchildren and great grandchildren. Running a close 2nd to his equine passion, was his passion for sheep. Over the most recent years, John (and wife, Charlene) supported the Boone County 4-H sheep division, raising quality lambs for his great-grandchildren to show at the Boone County Fair. John was passionate about his community and civic responsibilities. Over the years he was on the County Board of Health, Civil Defense, and Salvation Army Board member. He served on many regional boards: Second Judicial District Department of Correction Service, Cross Roads of Iowa, Heart of Iowa Transportation Authority, Mental Health Board, Sanitary Landfill and was the Boone County 4-H Horse Division coordinator. John was a member of the First Presbyterian Church of Boone serving as an Elder and Deacon. He was a member of the Kiwanis, American Legion, 40 and 8 Club, Elks and was an Elks Ritualistic coach. 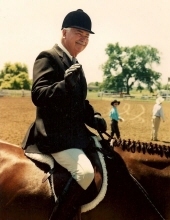 As an equine enthusiast, his memberships included the Iowa Quarter Horse Association, the American Quarter Horse Association and the IASC horse club. John is preceded in death by his parents, John and Ima Munson and son, John (“J”) August Munson III. He is survived by his wife of 72 years, Charlene Mae (Smith) Munson and daughters Chris (John) Winter and Julie (Kenny Walters) Munson, both of Boone; six grandchildren: Lori (Ted) Semke, Boone; Josh (Karin) Winter, Peyton, CO; Kati (Casey) Dray, Lakeville, MN; TR (Christine) Potts, Fountain Inn, SC; Amanda (Chad) Underhill, Altoona, IA; Tanner Munson (California) along with 15 great grandchildren and one great great grandchild; two sisters: Betty Hess of Okoboji, IA; Janaan (Bill) Kennedy of Barrington, IL; nieces and nephews; other relatives and many friends. Memorials may be directed to The First Presbyterian Church, 703 Greene Street, Boone, Iowa 50036 or the Iowa 4H Foundation, (Attn: Boone County 4-H), %Boone Count Extension, 1327 SE Marshall Street, Boone, IA, 50036. To send flowers or a remembrance gift to the family of John A. Munson, Jr., please visit our Tribute Store. "Email Address" would like to share the life celebration of John A. Munson, Jr.. Click on the "link" to go to share a favorite memory or leave a condolence message for the family.